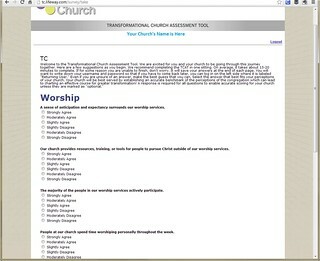 This page is designed to help each person who is invited to take the survey with your church. You will want to provide your church's PASSCODE in any email or communication that invites them to participate. 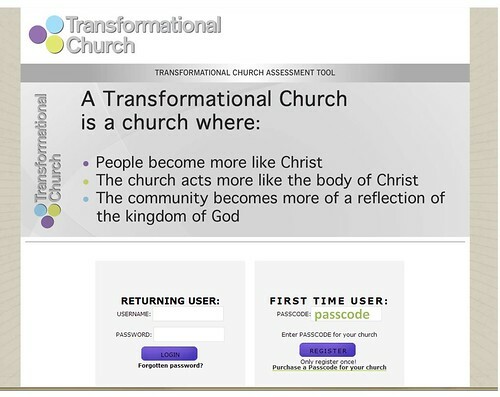 If you have been invited to participate in your church's Transformational Church Assessment, you are in the right place! . You should have received a PASSCODE from your church. You will use this PASSCODE only one time to register and to take the TCAT. If you need to log back in later, you will use the username and passWORD you create during registration. Your individual responses are confidential, so your church will not know what your answers are even though your name will be listed in the user list. If you are still concerned about confidentiality, you can create an anonymous username, first name, last name, etc. Just remember to note what they are in case you need to log back in later. It is important to accurately provide gender, age, and zip code for demographic information. 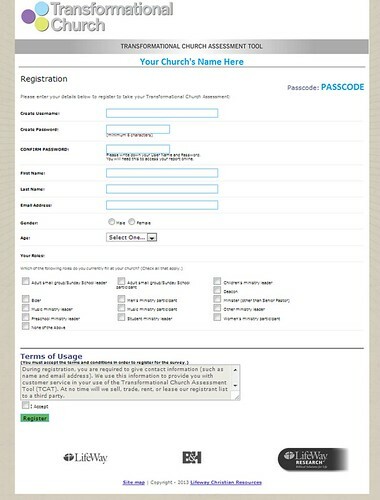 Enter your church's PASSCODE in the silver box on the right side of the screen. All usernames must be unique. Typically a combination of letters and numbers works best. Please make a note of the username, password and email address you use to register. If you ever forget your password, you will need these to change the password. Even if you are unsure of an answer, select the answer that best fits your perceptions of your church. Your church will be best served by establishing an accurate benchmark of the perceptions of the congregation which can lead to charting an effective course for greater transformation! A response is required for all questions to enable accurate scoring for your church unless they are marked as "optional." Fill out a few pages just like the one right there, and that is it. You're done!